If you're one of the 3,837 8th-graders who didn't get a high school placement this week (or if you didn't like the placement you got) you may want to consider a charter school. Most charter schools start in the elementary or middle schools grades—and don't accept students in 9th grade—but a few begin with high school and some others have seats for new students in 9th grade. All admit students by lottery. The application deadline is April 1. Dr. Richard Izquierdo Health & Science Charter School in the Bronx does a good job with children receiving special education services and those who are learning English. NYC Charter High School for Architecture, Engineering and Construction Industries (AECI), also in the Bronx, offers classes in architectural drawing and computer science. New Visions for Public Schools, a respected school reform group, has several charter high schools. The first two, in the John F. Kennedy Campus in the Bronx, opened in 2011; the others in the Bronx, Brooklyn and Queens, opened more recently. All offer a week-long summer bridge program, an extra-long school day (8:30 am to 4:30 pm), and Advanced Placement classes. 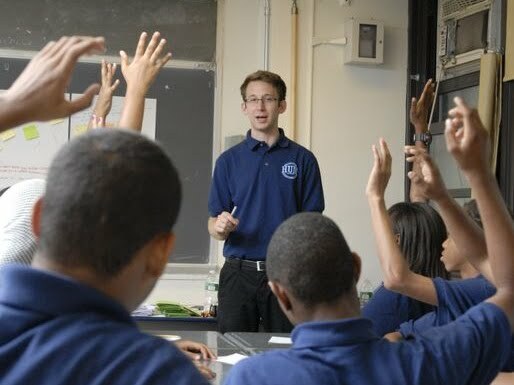 Brooklyn Prospect Charter School is a well-rounded school for children in kindergarten through high schools with a challenging International Baccalaureate curriculum. While most children enroll in the lower grades, there are some seats available for high school. See our review here or the school's website here. DREAM Charter School in East Harlem is a popular K to 8 school that's recently added a high school. University Prep Charter High School in the South Bronx is a small, safe school with good attendance and a high graduation rate. You have nothing to lose by applying: If you are admitted to one of these charters, you can still choose to attend a regular district high school. And if you are unhappy with all your options, you can appeal later in the spring.